With our latest generation of dash cams, we have implemented Wi-Fi functionality which allows you to view your recordings and send them to your mobile device using our Rexing Connect app interface. The Rexing V1 3rd Generation, V1P 3rd Generation, V1P Pro, V2, and F10 all possess this capability. To learn how this feature can be used with your device, check out the videos below. With your dash cam powered on, enable the Wi-Fi function. The Wi-Fi name (aka the SSID) and password for the dash cam should be displayed on-screen. On your mobile device, navigate to your Wi-Fi settings. Connect to your dash cam’s Wi-Fi by tapping its name when it appears. Enter your dash cam’s Wi-Fi password if you are prompted to do so. On some Android-based devices, issues with your connection can be solved by disabling mobile data in your settings before attempting to connect. Note: On some mobile devices, you may have to try to connect more than once. To ensure you’ve successfully connected, your mobile device’s screen should resemble the examples shown. 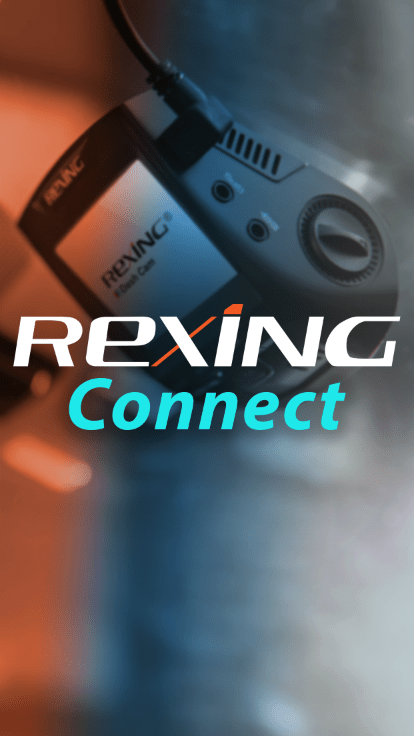 Once you’re connected to the dash cam, open the Rexing Connect app on your mobile device. In the app, hit the “Connect” button to connect to your dash cam, allowing you to access live view and view/download your recordings. Note: Live view supports resolutions up to 1440p. If you do not see an image, try changing the video resolution to 1440p or lower. Note: If you disabled your mobile data earlier, make sure to re-enable this after you are finished in order to use cellular data.